This past weekend, I had the great good fortune of kitty sitting for a friend who lives in San Francisco’s Mission District. I love walking the city and had so much fun discovering places new to me. Saturday morning I walked up Valencia and noticed a bunch of chalk art/graffiti had poped up. Some creative soul rubbed chalk on the grates that surround the trees lining the street. 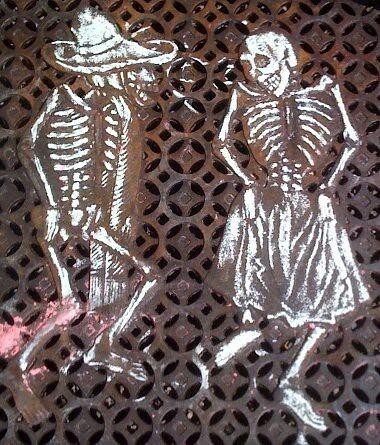 I never noticed the art on the grates before – a big thank you to whomever it was. First off I had to fuel my weekend and I met a friend at Mission Beach Cafe. The wait (about 30 min.) was well worth it. 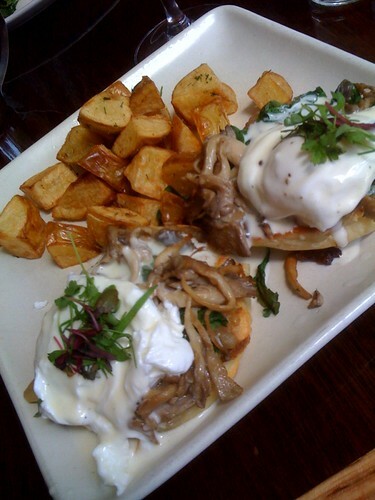 I had the “wild mushroom benedict” and a “huge” grapefruit mimosa. 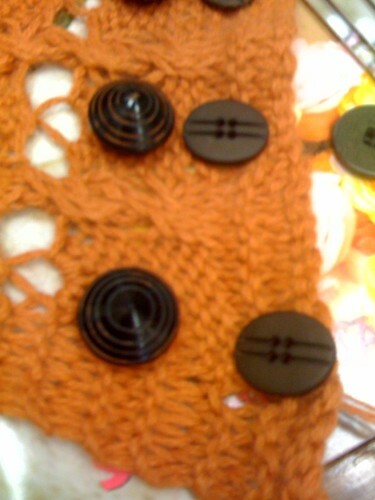 Well fed and slightly tipsy I headed to Imagiknit one of the few remaining yarn shops in the city. I should have taken more pictures. The store is adorable and a really great space. The people were very helpful and attentive. It was good to see it hopping. There were even a couple of people learning to knit. 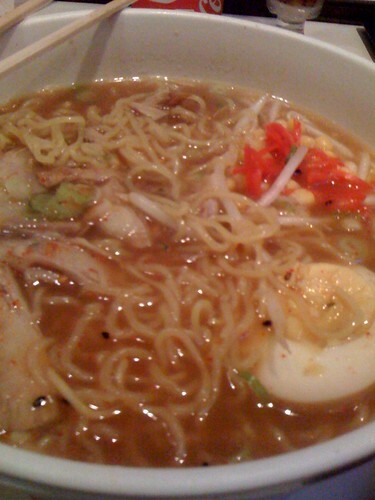 Hubby met me for dinner and we headed to have some Ramen at Halu. The tiny place serves pretty fantastic noodles. Update: Mission Local has the full scoop on the chalkings. Toward the end of the video you can see the picture at the top of this post being made.